is Lovin these cool temps! Please do post your charts. Last edited by STephenKaye; 07-29-2013 at 08:20 AM. Over 300 no way, unless they r high alt with major correction factors. 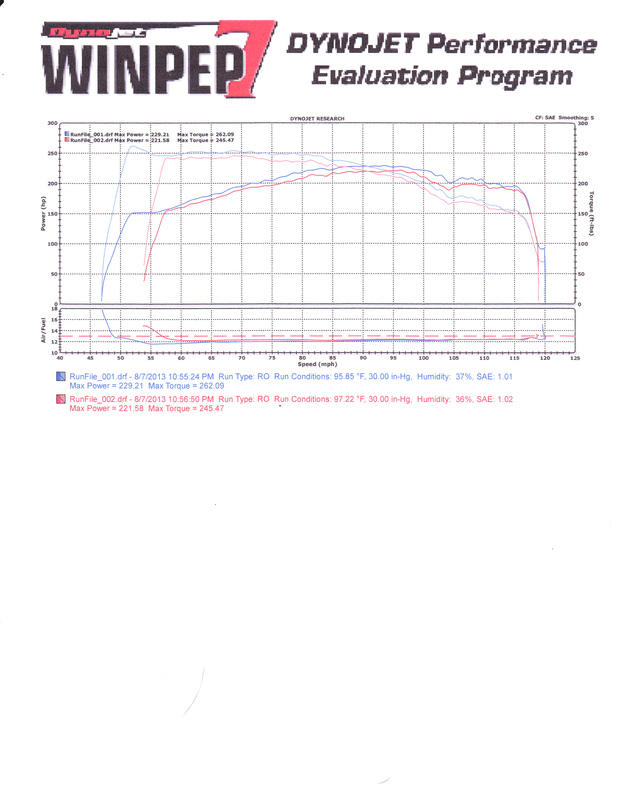 Pure stock with stock motor mounts at the dyno today 229/262. I'll post my sheet since I can scan it when I am back home next week. shogodz89 and nyyanksrob like this. Should add this was a Dynojet and they had my engine cover off. Not sure that does anything but someone mentioned it somewhere else also. Also, since I was on vacation and it was a busy day, we could only wait like 5 mins between the 2 pulls. This stock at 97F? Not bad then.